"Staff were really helpful and friendly." Have a question for Green Leaf Guesthouse? "Pros - Great host - Good food - Great location Cons - Room space - Common bathroom - More of hostel than guest house"
"Easy to see * Put hotel location on google map." "Private, quiet, clean and fresh air." 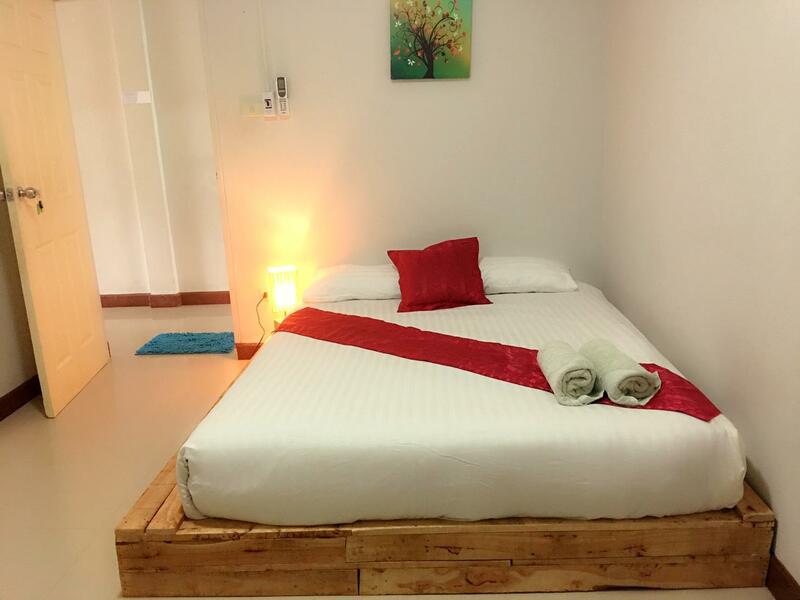 Green Leaf Guesthouse, located in Ao Nang, Krabi, is a popular choice for travelers. The hotel is not too far from the city center: just 0.1 km away, and it normally takes about 41 minutes to reach the airport. With its convenient location, the hotel offers easy access to the city's must-see destinations. 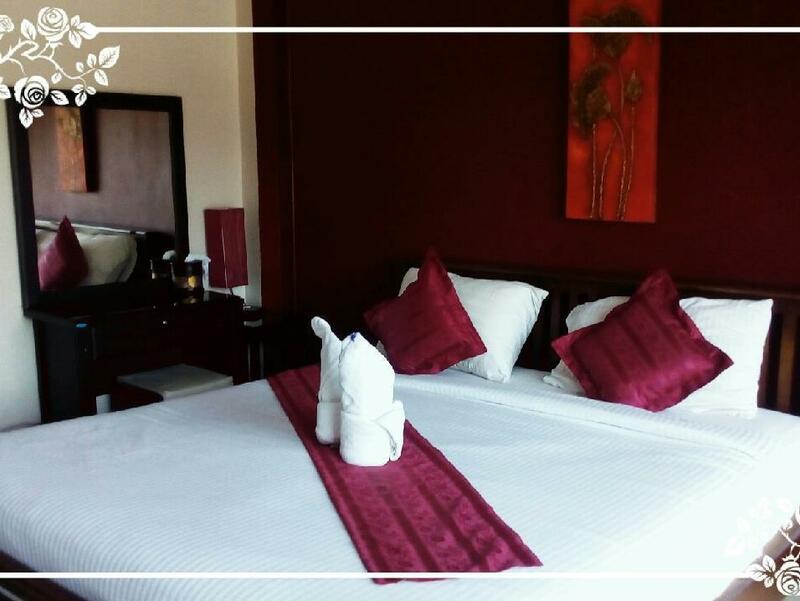 The facilities and services provided by Green Leaf Guesthouse ensure a pleasant stay for guests. 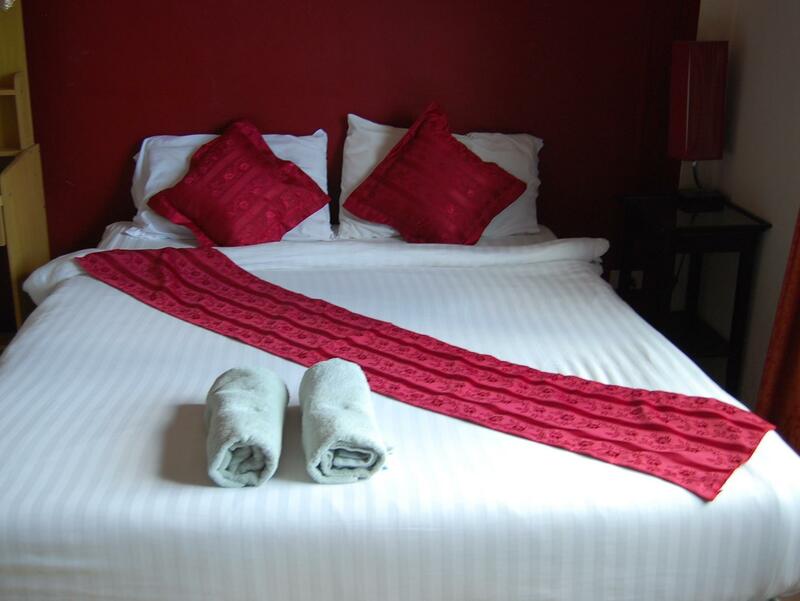 24-hour room service, free Wi-Fi in all rooms, 24-hour front desk, Wi-Fi in public areas, car park are just a few of the facilities that set Green Leaf Guesthouse apart from other hotels in the city. Green Leaf Guesthouse is home to 8 bedrooms. 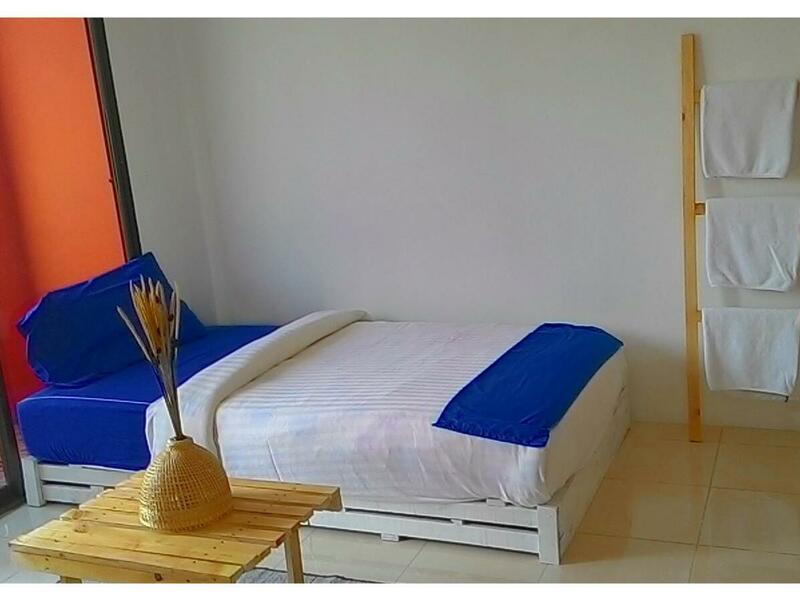 All are tastefully furnished and many even provide such comforts as television LCD/plasma screen, locker, towels, internet access – wireless, internet access – wireless (complimentary). Besides, the hotel's host of recreational offerings ensures you have plenty to do during your stay. 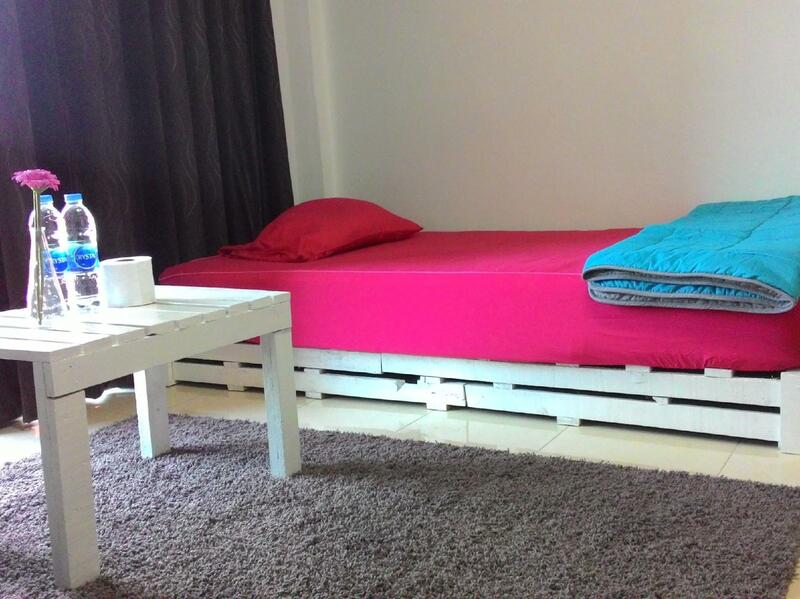 Green Leaf Guesthouse is an ideal place of stay for travelers seeking charm, comfort and convenience in Krabi. "The room was very clean and the owners were very friendly." only 1 toilet, no sink available. room has cockroach. the only good thing is the staff is helpful. check in at Green leaf guesthouse but the staff will drive us via tuktuk to the actual family house which is located at a housing area. its not at the main area so you need to walk few minutes to hire a tuktuk. there is one great chinese restaurant that we went for 2 consecutive days as the owner was a nice old lady and his son was the cook. inexpensive and clean. -aircon without remote and only 1 level -aircon very loud - owners even don't care about customers after requesting to make less noise at the reception. TV always screaming no matter if you ask to reduce volume, it will be same after few minutes. You can hear absolutely everything in this building, and of course their dog in the lobby. Not possible to sleep or to rest. One of the worst places ever! The house have 2 room, 1 toilet, 1 living room. Private, quiet, clean and fresh air. Staff and boss is kind. 2 travellers, February 2018 SUPERIOR ROOM. When we arrived the staff struggled to find our booking, making us wait for one hour. After that, they apologized and they asked the hotel next to them to accomodate us because our room was not avalaible. We were able to move in only the next day. On top of that, our room was with a NOISY AC without remote (impossible to set temperature and so high that only tall people will be able to operate) NO BALCONY (even if the bunk bed room got balconies our SUPERIOR was without) BROKEN door locks in both entrance and bathroom (couple of times we found in the morning the main door open, and yet when coming back to the room we had to struggle with the door to open it; even the staff COULDN'T FIND SOLUTION. The staff was kind, but their promises of a tour for a very good price never happened, because they couldn't find more people. 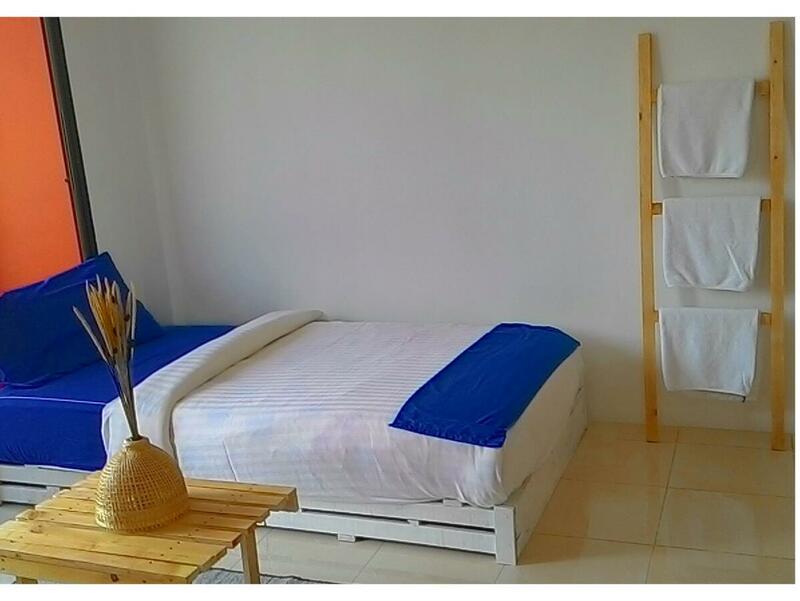 THE ROOM, TOWELS, BED SHEETS HAVE NEVER BEEN CHANGED OR CLEANED DURING OUR 3 DAYS STAY.For same price you can find better. Location was a little far out, but not really a problem. Staff were really helpful and friendly. Would definitely stay again! We really liked the stay in Green Leaf Guesthouse. The Thai food was delicious and the staff was very helpful and kind! We received the nice service from guesthouse host. Good food and variety of choices. Nice and clean room but towel and blanket are quite old. Guesthouse host always provides us the best tour program which is excellent and good price. The guesthouse is far from the beach (40mins walk) but has the bus line to the beach every 20 minutes. It was OK for the money you pay, a little bit far. Nice staff. This guesthouse is clean and the staffs are friendly. It is located a bit far from the beach and perfect for the one who like quietness. Nothing will disturb you from your deep sleep. You may need tuktuk to reach the beach, or if you are strong, you could walk and it will take about 20 minutes. Happy staying here. Very nice and friendly staff :-) good location for trips. Stayed for a week and enjoyed. Friedly couple who run the place. Organized good trip to the islands and kayaking. Food was good. Good place if you want to do a Islandtour in Krabi. I book good tours with thèmes because the y expulsion me everything that Was the Best. Very interested to satisfait you.